Not even the throngs of fanny-pack yielding tourists can diminish the charm of Hoi An. A delightful little town perched on a river’s edge, with historic architecture and tons of atmospherics bars and cafes, illuminated by hundreds of colored lanterns as the red sun dips below the horizon and night falls. A marvelously undeveloped stretch of beach within biking distance where the day slips away as you sip chilled wine on a rented sun lounger. We ate well, we drank well, and we barely dragged ourselves away. Since Reece was getting over being sick, it was our duty to relax to the fullest, right?? 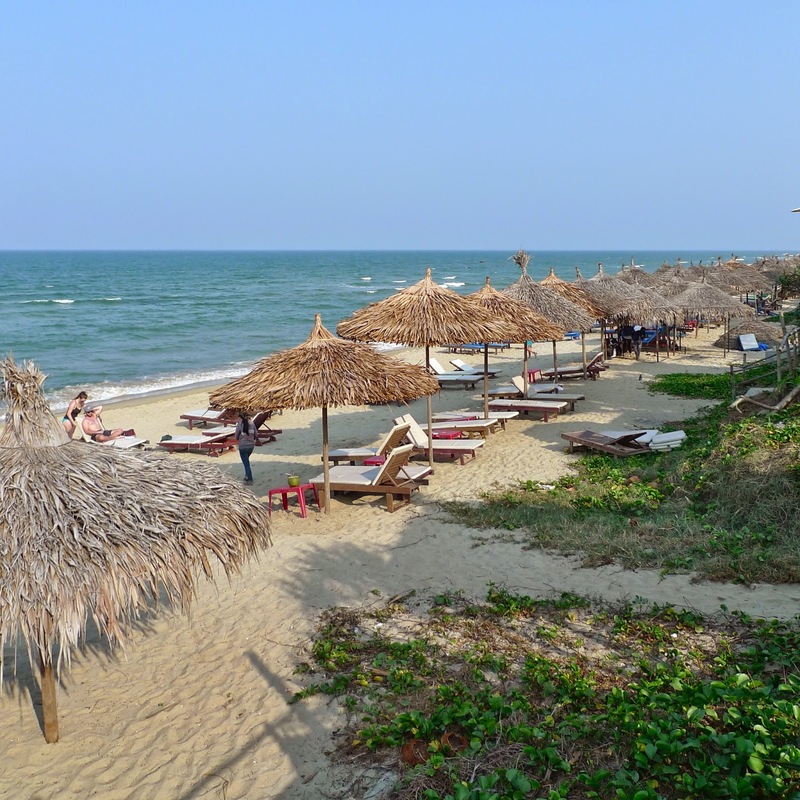 For photos of our time spent in Hoi An and the nearby beach of An Bang, click HERE. Wonderful photographs! How was the water (at the beach)? Do people swim in the rivers of Viet Nam? I'm glad Reece is feeling better. He looks so comfortable in the photograph of him resting in the circular enclosure.